Coming from a Christian background, but living in a Muslim country, has enabled me to learn of many similarities between the two religions. One such example is the prophet Ibrahim, known in the Bible as Abraham. 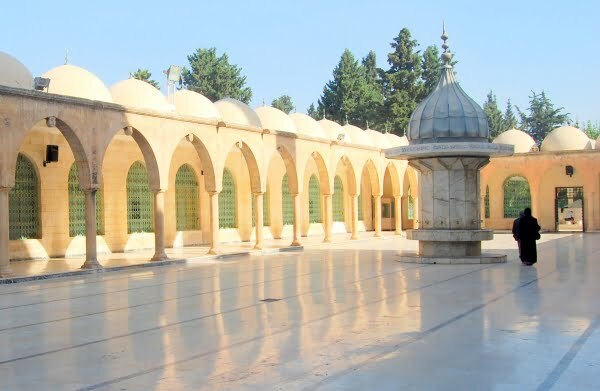 He was born in Mesopotamia, in an area called Edessa that is current day Sanliurfa, although the Bible lists the same region as “Ur.” He is mentioned frequently in the book of Islam, but very few online guidebooks, recommend visiting Abraham’s cave in Sanliurfa, which is his suspected birthplace and open to the public. I stumbled upon it purely by accident, when walking away from Baliklgol. 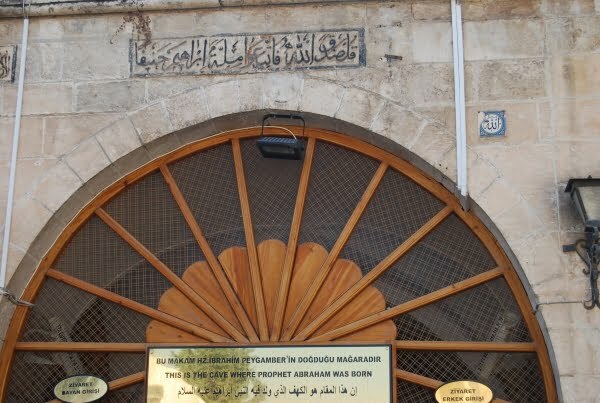 Called the Mevlid-I Halil Magarasi, the entrance was through the courtyard of a large and impressive mosque with the same name. Apart from a few locals, there was no one around and it was eerily quiet. 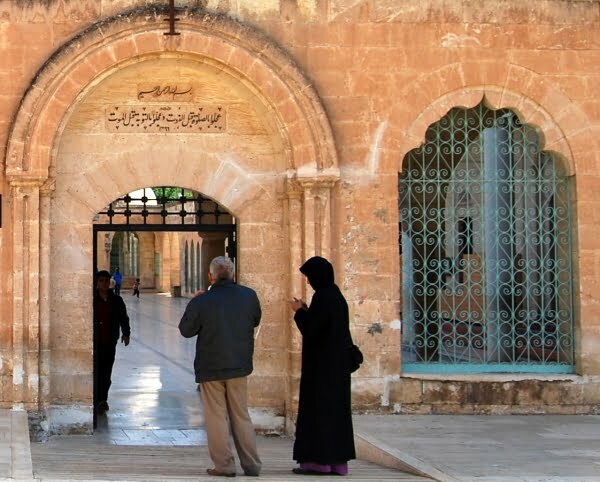 As I walked past the entrance to the mosque, I stared inside. It seemed to have an elaborate high ceiling and a plush carpet. I was desperate to see it however, this seasoned traveller, had made a stupid mistake. I was in one of the most religious cities of Turkey, yet had no headscarf in my bag. The outside architecture still captivated me though and I spent some time exploring before heading to the cave. 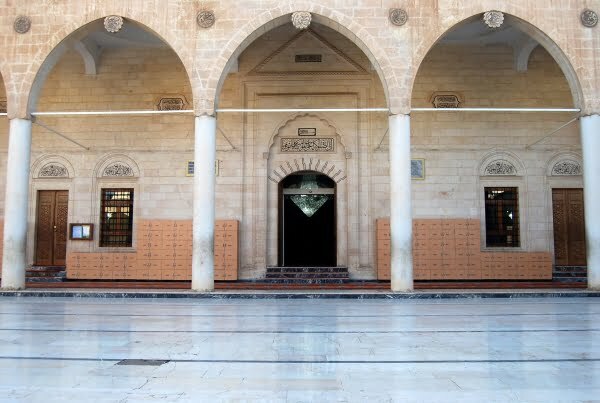 The small, discreet entrance tucked away into the side of the courtyard, is not representative of how much impact, Abrahim has in Islam. After all, this is the man whose mother gave birth in a cave and hid her child there for seven years, because the evil king Nimrod wanted to kill all newborn males who could threaten his reign, topple him from his throne, and change the Pagan religion of the time. He was also the prophet, who was prepared to sacrifice his son. Taking advantage of the headscarves on loans for a small donation, I expected a grander appearance inside and walked past a room separated with glass. Inside were various items and ancient books but I had no way of telling if they were relics. The next entrance was so low; I had to stoop to enter inside. From there, I was in the heart of the cave. 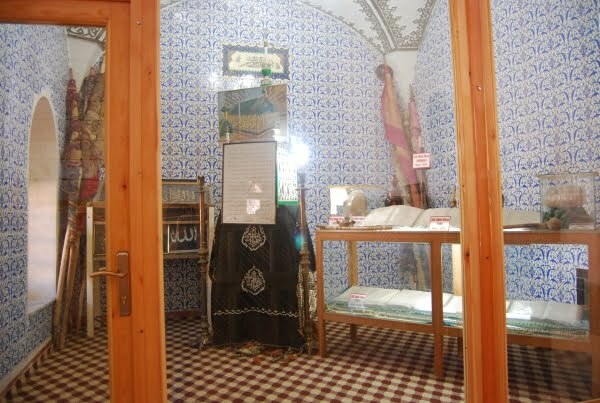 Two women, praying on their knees were in front of another section separated with glass. They looked up and down at me, one of them seemed to snarl with her lips, and they returned to their prayer. I felt uncomfortable. So uncomfortable and left immediately but was puzzled. Had it been my loose headscarf showing tufts of hair that caused the tense atmosphere? I had been very quiet and my dress sense was conservative; no flesh was showing. My shoes were removed and I had placed my camera away to prevent causing offense or showing disrespect. I had used the entrance for women and not men. I am still puzzled now about what I did wrong that day. I know that some Muslims when entering a mosque perform a sign of respect and say a quiet blessing but I have never been in a mosque where non-Islamic visitors were required to do this. Maybe, the women felt I was interrupting their prayer. Maybe they are not used to seeing tourists in there however; there were headscarves at the entrance for non-Islamic visitors. Maybe they just did not like my face. 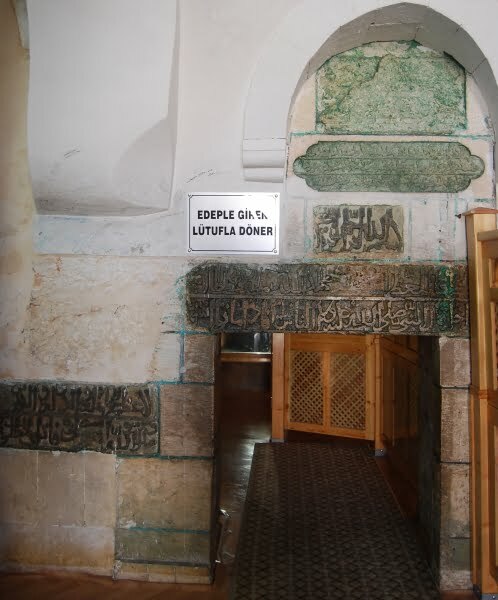 Either way, it was not the highlight of my visit and being a non-religious person, it is impossible for me to recognize the significance of Abraham’s cave in Sanliurfa. It was one of those occasions when I felt I was in the wrong place at the wrong time. We just returned to US 3 weeks ago. It was obvious that we were “different” while walking through the cave of Abraham. Many people stared at us. I only noticed one person that was obvious in his displeasure at our presence. I like to think that because it was only a few people that it was not the opinion of the masses Shanley. I am surprised by that reaction. We visited there in 2012 and were not made to feel unwelcome at all. Interesting experience. I suspect it’s because the region is more conservative, the Turkish are for the most part very hospitable. I’m Muslim but I don’t look Turkish at all, I wonder if I would have got the same reaction..
That is terrible that the women made you feel unwelcome. So odd… I’d be interested to know why they behaved this way too. . . interesting reaction when you consider the usual welcome and kindness from Turks regardless of their religious convictions. I had a rather strange experience in Abraham’s cave. I definitely felt wrong to be there and felt rather bad about discretely taking one photo. When I next went to use the camera I was horrified to find that about 300 photos had mysteriously been deleted. Luckily I was able to go to a photograpic expert on my return to UK who was able to retrieve them for me. I was told that it was because I had not re formatted the camera but I still feel that there was a greater force at work. I missed the cave 🙁 But the pool and mosque in Sanliurfa remains one of my favorite memories of Turkey.